A first-time visitor to Owosso is likely to be struck by the beauty of its natural features and the charm of the historic buildings that are found throughout its business and residential districts. A lengthier observation of the community will make clear that Owosso is an example of a traditional urban area. 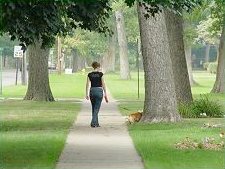 Its features include a vibrant downtown district with shopping, dining and entertainment establishments; residential neighborhoods featuring mixed architecture, incomes and uses; a grid system of tree-lined streets; a comprehensive network of sidewalks to encourage walking; businesses offering a wide range of service and manufacturing employment; neighborhood elementary schools; and an extensive park system. All of these features combine to provide an excellent quality of life for the city’s nearly 16,000 residents.